Recorded in partnership with the UK Ministry of Justice (MoJ) to coincide with their Social Mobility Live Week, marking the launch of the Ministry’s Social Mobility Action Plan, which aims to ensure that everyone has a fair chance at overcoming barriers to reach their full potential irrespective of background. Russell Goldsmith was joined in the studio by Matthew Coats CB, Chief Operating Officer at the Ministry of Justice and their Social Mobility Champion, Dr Louise Ashley, Senior Lecturer in Human Resource Management and Organisational Behaviour at the Royal Holloway University and Tunde Banjoko OBE, Founder and Chief Executive of Making the Leap, a charity that aims to transform the lives of young people by empowering them with the skills, behaviour and attitudes to work their way out of poverty and provide for themselves and their families. Matthew started the show by explaining how important an issue Social Mobility is for the Civil Service, and the fact that it means a lot to him personally too. Matthew’s parents were from one of the big council estates in Bristol. He went to a comprehensive school, and was in a one-parent family that spent time on benefits. He said that the people he grew up with didn’t really think about the opportunities that were there – it just wouldn’t have occurred to them. Matthew said that it was Jon Thompson, CEO of HMRC, who really started to put the issue of social mobility on the map for the Civil Service when he was appointed their Social Mobility Champion in June 2015 and that it’s really important that the Civil Service recruits a diverse workforce so that they are representative of the public they serve, adding that it is particularly important at the MoJ. He explained that It makes good business sense for the Civil Service too that with a variety of backgrounds and views, you get better decision-making and better end-results. Matthew passionately believes that where you start out in life shouldn’t determine where you end up. Louise and Tunde then gave their thoughts on the state of the nation in terms of social mobility, but gave a little bit of their background too and why they are both so passionate about the topic. Starting with Louise – she is now an academic but beforehand, worked in a City of London Law Firm and whilst there she quickly saw there was a lack of diversity and that’s why she decided it would be the subject of her PhD, looking at diversity strands such as gender and ethnicity, but she soon found that social class and social mobility was a real key differentiator in terms of opportunities, particularly in the law industry where she had worked. Louise said that this coincided with the publication of the Cabinet Office Panel of Fair Access to the Professions (The Milburn Review), which also helped to kick off a discussion about this topic in the UK. Tunde then gave his background. He said that his father left the family home to go back to Nigeria when Tunde was just eight years old and didn’t return and whilst his mother taught him the importance of education, he said he didn’t listen to her and was instead, more influenced by his peers. Tunde said that growing up, he didn’t have examples into the corporate and professional world or the networks or opportunities to get there and a fair few of those peers under achieved and ended up on the wrong side of the law, devastating other people’s lives and costing society a fortune in the process. However, he said he was lucky to have gained some level of education, but when he became a father at the age of 25, it changed his life and fell into the work with Making the Leap, which he is passionate about because it’s how he grew up. The Social Mobility Commission’s 2016 State of the Nation report warned that Britain has a deep social mobility problem, which is getting worse for a generation of young people and it said that from the early years through to universities and the workplace, there is an entrenched and unbroken correlation between social class and success. Matthew therefore took the time to go into a little more detail about the MoJ’s Inclusion & Diversity Strategy and the Social Mobility Action Plan. He said the work is led by the MoJ’s Permanent Secretary, Richard Heaton and the overall champion for Diversity and Inclusion, Justin Russell. Their plan includes collection and tracking routes in to work, attraction and retention, progression and expanding their schools programme. Specifically, Matthew said that they are going to extend their schools programme to include work experience and mentoring and that they are working on changing the way they recruit people. Going into schools and working with young people is also a key part of Tunde’s organisation, Making the Leap. He explained that they go into schools with the aim of raising aspirations and increasing their opportunities of the young people that they encounter there. They then look to develop those young peoples’ confidence and the soft skills that are important, which are often the difference between success and failure. However, it’s not just school children they work with, as Making the Leap also helps young adults too, with a more intensive intervention, aimed at helping them get the types of jobs that will get them out of poverty. They also work with employers too, helping them achieve their priorities around social mobility issues. Of course, getting onto the career ladder from a lower socio-economic background is just the start of the challenge and Louise has done a lot of research into the issues those individuals may face once they gain employment. She said that if we look back over the last 20 years, the subject of social class or social mobility fell off the policy agenda, particularly during the 1990s and so it’s really positive that it’s now something that is being spoken about in a great more detail. Louse said that one of the critical things in the social mobility debate is making sure people have access to top jobs and good jobs, regardless of what background that they’ve come from and there’s been a lot of research in understanding what the barriers are for those people to achieve that. This has resulted in recommendations for organisations to change their practice. However, she added that what has been neglected is what happens to these people once they’ve joined the workforce, i.e. the relationship between socio-economic background and career progression has not been investigated in such detail and that we need better data in this space as organisations don’t measure this. However, she said we can look to anecdotal evidence, which she is generalising, but that sometimes, when people from a less privileged background enter an organisation where perhaps the culture is dominated by white middle-class men, that it can cause some problems for them. For example, they may spend a lot of their early career trying to manage their difference and work out how ‘fit in’ and understand the rules of the game of the environment around them. This could then lead to perceptions of underperformance and become extremely stressful for those people in that situation. On the positive side though, there is a lot of progress being made. For example, the MoJ were recently ranked as the UK’s 14th Best Employer for Social Mobility according to the 2017 Social Mobility Foundation Employer Index and as such were the highest ranked Government Department in a list that included companies such as Grant Thornton, who were top, KPMG, Standard Life, Deloitte, JP Morgan and PWC to name a few in the thirteen places above MoJ. The MoJ was also shortlisted in the inaugural Social Mobility (SOMO) Awards, an event organised by Making the Leap. Tunde explained that Making the Leap have been working with young people in London for almost 25 years and have been working with a number of civic minded companies, organisations, charities and individuals who have all supported them. However, they wanted to do more and realised that as long as it remains something that is a ‘nice to do’ rather than a ‘must do’, then the pace of change would remain negligible. They therefore launched the SOMO awards to recognise and showcase what businesses and institutions were doing to promote the issue of social mobility and by doing so, encourage their peers, partners and competitors to do the same. Tunde’s aim is for every organisation in the UK to have a social mobility plan. The SOMO Organisation of the year was the Wates Group. Matthew added that the very fact the event took place is a big step forward and that it means that the topic is attracting the attention it deserves. Coming back to the MoJ’s Social Mobility plan, Matthew believes that the Civil Service is a great place to work and offers great career opportunities. He said that the work is interesting and varied and, most importantly, you can make a real difference for the public. It’s also a place where anyone can get on, regardless of their background and that it’s not just in London either as Civil Service bodies are based all over the country. He therefore wants people to know that whatever your talents or your interests, there’s a place for you in the Civil Service and that they have roles in science, engineering, surveying and security to name just a few. Matthew said that there can sometimes be a bit of a perception that you need to have gone to certain schools or come from a wealthy background to get on in the Civil Service, but that has not been his experience. There are also lots of routes into the Civil Service. As well as applying directly for jobs advertised on the Civil Service jobs website, they also have a Fast Stream programme or you can enter as an apprentice. He added that the Fast Stream programme is more open than it has ever been and that almost 15% of applications last year came from applicants with lower socio-economic backgrounds, which is double that of the previous year. He also said that MoJ apprenticeships scheme has a starting salary of £19,000 per year. They are also expanding their outreach programme so that they get more schools looking into work experience and get more people into those apprenticeships. 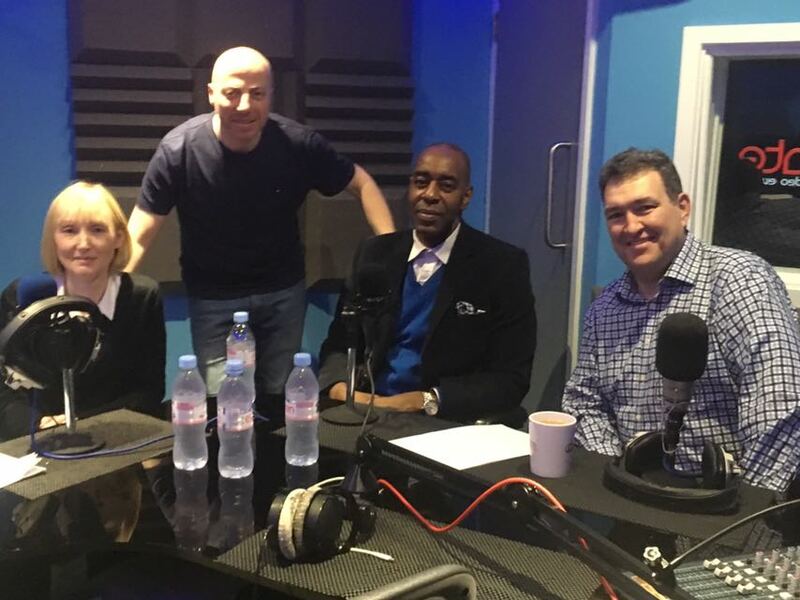 We then moved on to the subject of Quotas in business, a question that was also covered in Show 51 of this series, which was on the topic of Gender, LGBT+ and BAME Diversity. Tunde said this is difficult to answer but he said that in the US, where they had affirmative action, there is no doubt that it played a massive role in giving people from ethnic minorities a chance to get on the ladder, but of course, they only stayed there by working hard and proving they are as good. He therefore doesn’t think that quotas are necessarily a bad thing. However, he believes there does need to be some form of access routes for those people from less well-off backgrounds to get on the ladder, preferably voluntarily. Louise agrees it’s a difficult issue, but one of the issues is that it is difficult to know which measures to use in this context and that it’s not a protected characteristic, but comparing with progress made within organisations in getting people through to senior levels in terms of other diversity characteristics, such as gender or ethnicity, she added that we haven’t got that far in a lot of those cases either and therefore in her opinion, the argument goes in favour of quotas as it helps to focus minds. For Matthew, it’s about getting the culture within organisations right, promoting fairness and equality of opportunity for all. As for what the future holds in terms of Social Mobility, Tunde’s utopian goal is to see every organisation in the UK have a social mobility plan. However, he said they have their hands full in London, but they would like to support other organisations like theirs in other communities. He was keen to add that for Making the Leap, Social Mobility is about competitive advantage – there is a massive of pool of talent in the poorer communities and that it’s in the interest of the country to tap into them as by doing so we will make the country better both economically and socially. Matthew finished the chat by saying that it is important that the barriers facing the leaders of the future are identified and that we tackle them and that everyone has the same opportunity regardless of their background. He said that the MoJ has around 100 roles open at entry levels as part of their recruitment programmes and more information is available online.